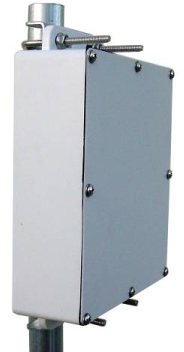 DCE-7x6x2 NEMA6 Weatherproof Die Cast Aluminum Enclosure with 6 engineered knockouts. 7x6x2" interior space. The aluminum cover is secured with 8 stainless steel screws and a waterproof foam rubber gasket.